I’ve never drunk a cup of coffee. Ever. My mom once told me I wasn’t not old enough and it would stunt my growth — and I believed her. 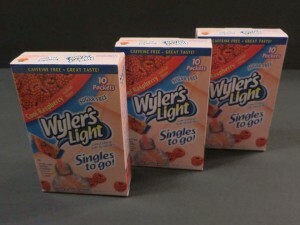 Instead, my drinks of choice are Diet Coke and raspberry Wyler’s Light. Diet Cokes — especially the highly carbonated ones from a fountain — are such a treat. 🙂 My 11 a.m. “fix” is the highlight of my work day; thank God the room I work in is right next to the cafe! And the servers at one of the local drive-throughs have seen me so often over the years (“Large Diet Coke, light ice”) that they get the drink ready when they see my car pull into the lot. Don’t get me started, though, about the ecstasy of Diet Coke… that should be a whole separate blog post. …and it livens up any glass of water. 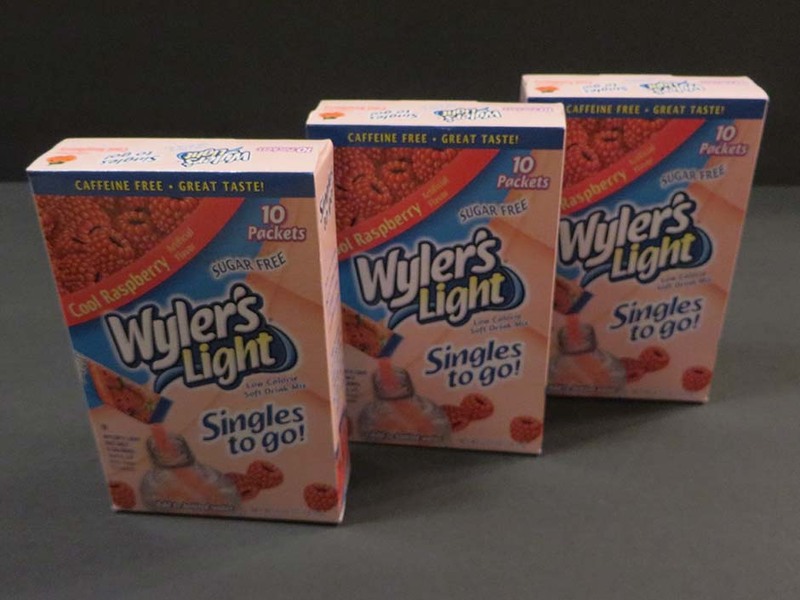 Raspberry Wyler’s Light does have some downsides, though. The bright red color badly stains your lips and mouth (not to mention any clothing or furniture you spill it on!) In fact, my former boyfriend used to look over at the big red ring around my lips after I drank one and comment how it was like talking to “The Joker” in the Batman movie. 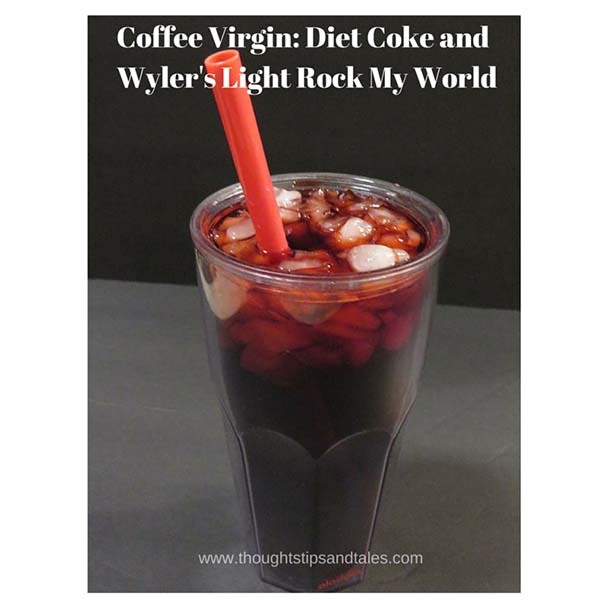 This entry was posted in coffee, Crystal Lite, diet coke, favorite drinks and tagged coffee, crystal lite, diet coke, favorite drinks. Bookmark the permalink. It does look good, but I don’t drink soda at all. I think it taste nasty to me lol. I know someone who will love this though and will pass this along! Another of the zillions of things we have in common! I still don’t drink coffee, and for the same reason as you. I loved Coke and Diet Coke for so long, but now I’m trying to drink seltzer water. I like it really cold, and I like to add lemon juice. Funny!!! Now that you say that, I don’t ever remember any of us drinking coffee at college! That is weird how much we have in common after all these years. Thanks for reading the blog!